During Diwali holidays of 2015, my best friend and I decided to go for a trip. We were doing our masters in Vellore then. After a lot of discussion, we finally decided to visit Yercaud. Yercaud is a small hill station located in Salem district of Tamil Nadu. It is located in the Shevaroys range of hills in the Eastern Ghats. It is situated at an altitude of 1515 metres (4970 ft) above sea level. It is also called as Jewel of South. After doing a little bit of Google search, we found out that we have to travel to Salem in a bus and from there we have to change our bus or we can even take a taxi to Yercaud. We packed our bags and started our journey on 7 th November 2015. We took a bus at 7 pm to Salem and reached there by 12 am on 8 th November 2015. After making an enquiry we found out that the next bus to Yercaud was at 4 am. Both of us wanted to reach Yercaud as soon as possible and were not ready to waste even a minute in Salem. We went in search of a taxis but as it was night we could find none. Finally we found an auto that was ready to take us. It is 29.2 kms from Salem to Yercaud. We started to climb the hills by 1 30 am; it was all dark outside and we could see no-one in the road. The feeling was both exciting and spooky. Both of us started to share ghost stories to increase the excitement. It was a really a different experience to climb hills at night that too in an auto. Finally we reached Yercaud. It was 2 30 am by then. All the shops and restaurants were closed. We managed to find a hotel for ourselves and went to sleep. I woke up at 7am in the morning and found out that my best friend had already gone out to roam in the streets of Yercaud. When he was back we booked a car for side seeing and then took our breakfast. It was 9am by then but we could hardly see anything as there were fog all over. The view was really beautiful. The hills were looking gorgeous as they were covered with fog and with bright colour flowers. The view was a wonderful treat to our eyes. The first place we visited was Anna Park; it is a beautiful park which is maintained by Tamil Nadu tourism. 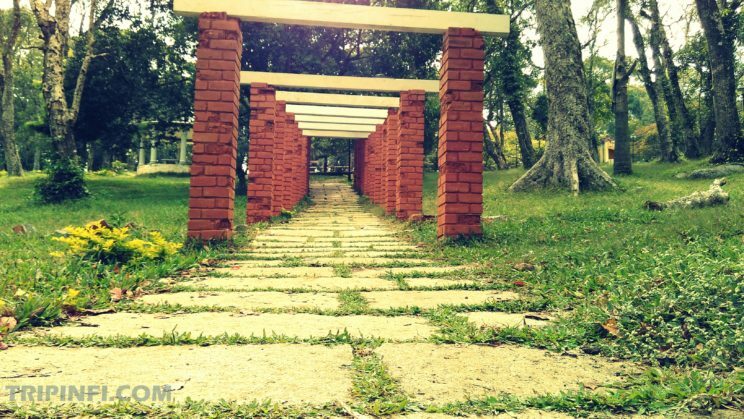 This park has collections of natural species of plants and trees that are seen around Shevaroy hills. Flower shows are conducted in this park during summer months. The park looks very bright and colorful because of the large collections of plants and trees. On our way we saw the Pagoda point. It gives you an extensive view of Salem. The view of clouds floating overhead can mesmerize anyone. The next place we visited was Shevaroy Temple. 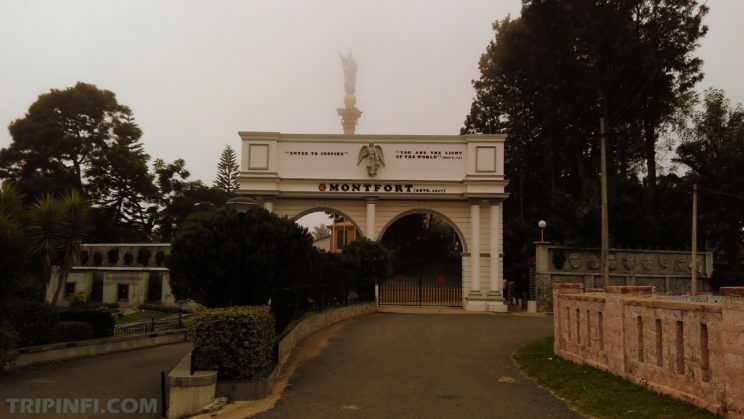 It is the highest point in Yercaud, situated at an altitude of 5,326 feet (1,623 m). It is about 7.5 Kms away from Anna park junction. Road is good up to the hill top. The idols of Lord Shevaroyan and Goddess Kaveri are placed inside it. The locals believes that there is an ancient cave inside the temple which extends up to Kaveri. Next place we went was Shri Raja Rajeswari temple. The temple is located at a little height so one has to climb few steps to visit it. It is believed by the locals that by praying in this temple, one can attain wealth and prosperity along with higher levels of spirituality. Then we went to Kiliyur falls. It is a 90 foot high waterfall that will leave you speechless. 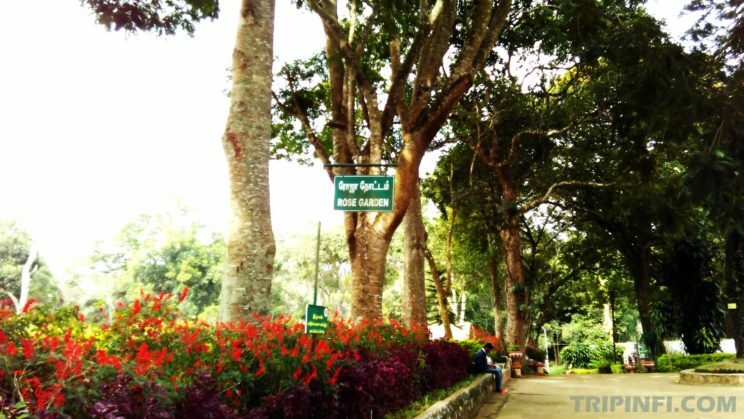 The place really worth visiting and I would say it is the most beautiful place in Yercaud. One has to climb down almost 200 steps and then climb it up back which is little difficult. Next we visited the Silk farm and Rose garden. 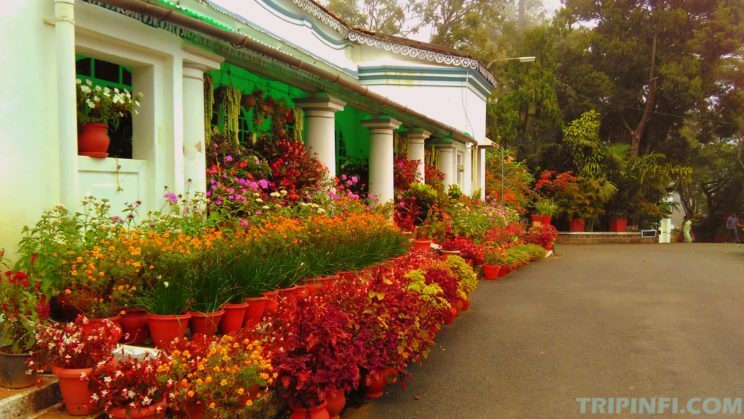 Nature lovers will be delighted to visit this place as it has different species of flowers. It is certainly a good place for photography. It also contains a small children park which surely attracts the little ones. The last place we visited was Yercaud Lake. It is situated in the heart of Yercaud. The lake is surrounded by gardens and hills which make it look stunning. 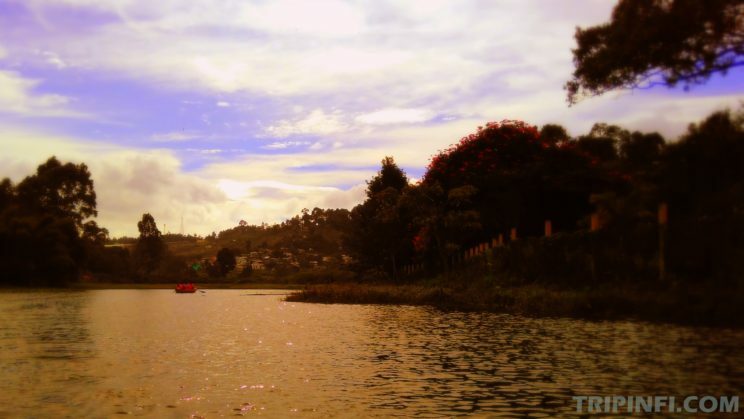 One can go for boating in the lake and enjoy the beautiful view of the hills. Next day i.e 9 th November we decided to just roam about the streets. We went out early in the morning and visited Montfort School. Visitors are not allowed here but we somehow manage to enter it. It has an amazing campus. 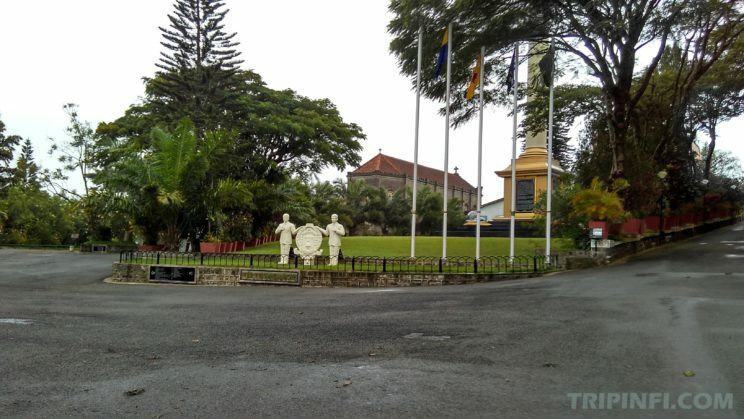 You will surely start remembering your school days once you visit it. It has a huge campus; they also have bird sanctuary in the campus. After that we found a group of people, who were there for trekking and so even we decided to climb the hills. Rest of the day we spent trekking. Yercaud has developed into a major trekking destination in the region. On 10 th morning we took a car and came back to Salem and from there we took a bus to Vellore. 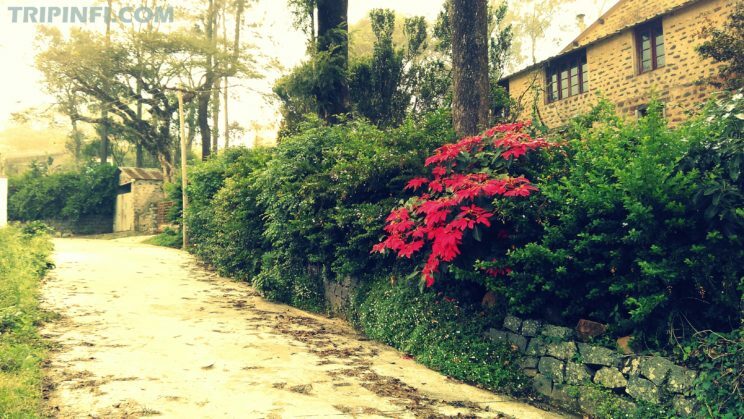 Yercaud is a small but nice place to visit for a day or two. The climate is pleasant throughout the year. Nature lovers will really enjoy the visit and it is also a happening place for those who love trekking.